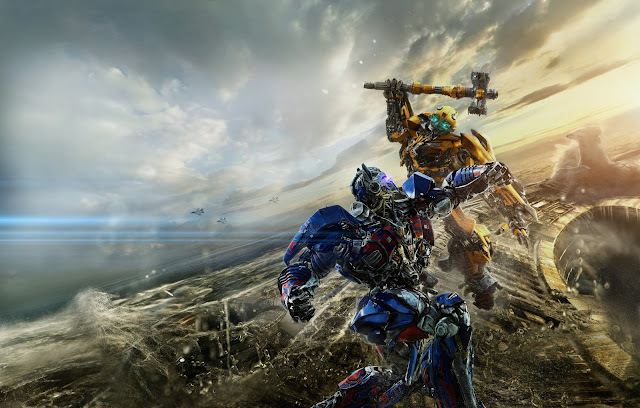 One of the biggest dichotomies in the film industry has been Michael Bay's Transformers Franchise; your average movie watcher seems to love every entry into the series shelling out billions of dollars worldwide, while film critics have universally panned everything post the original Transformers film in 2007.  Here at The Epic Review AKA Andrew Stokes and I have always been huge fans of the first film, and have been waiting for this franchise to return to its original glory for nearly a decade. 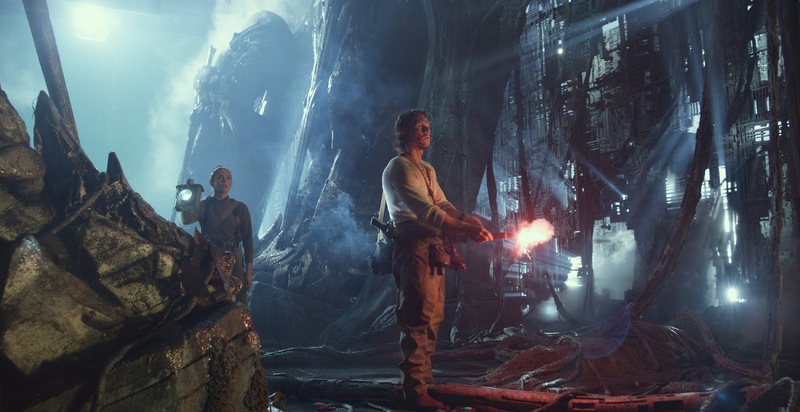 Make no mistake this is our favorite series to hate watch, but could Transformers: The Last Knight restore the franchise critically a decade after Michael Bay wowed audiences across the globe on the 4th of July weekend 2007? For those of you expecting more of the same you will have to wait for the inevitable Michael Bay fourth act to see that, because for all the criticism's that you can throw at this film, major props have to be given to Bay for at least trying to do something different in this franchise's fifth installment. Rather than completely root another Transformers film in Government entanglements (although those do still occur) The Last Knight is framed within the origins of King Arthur and the legendary Knights of the round table, using the Transformers to justify the legendary tales of dragons associated with the stories so many of us heard countless times as children. Every time that Bay and his screenwriters begin to take this film in interesting and fresh directions, we are pulled back into exhaustive Transformers film tropes. For example for every pulse pounding build toward the Last Knight reveal, there is a run in with a Government task force that has to be dealt with. These tropes are made bearable by the strong performances of Mark Wahlberg in his return as Cade Yaeger, and Laura Haddock's portrayal of descendant of Merlyn: Dr. Wembley of Cambridge University. The two have a natural chemistry that make some of the films most cringe worthy moments at least watchable. To cancel out the natural chemistry of Wahlberg and Haddock, we get the intrusive and annoying comic relief of Anthony Hopkins (Sir Edmund Burton) and his robot butler: Cogsman (Jim Carter). Both Hopkins and Cogsman were entertaining, and even a bit funny the first 10 minutes they were on screen, not so much after we have been subjected to their mindless slang riddled humor for over an hour. 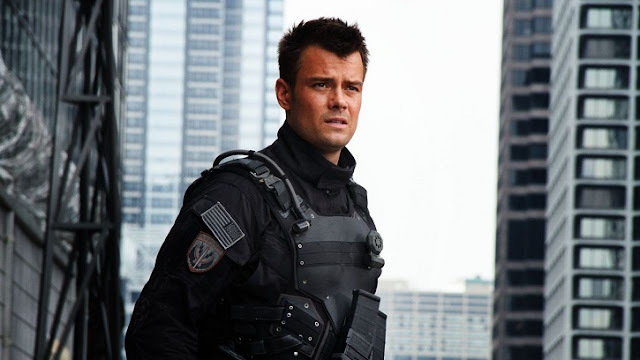 In addition to that we do get to see some franchise mysteries answered, as well as a solid return and sendoff for Josh Duhamel's character of William Lennox, creating an even character palette. The mcguffin filled plot revolving around the search for Merlyn's staff comes to a head when the newly re-branded Nemesis Prime has to do battle with Bumble Bee, in what should have been the film's finale. 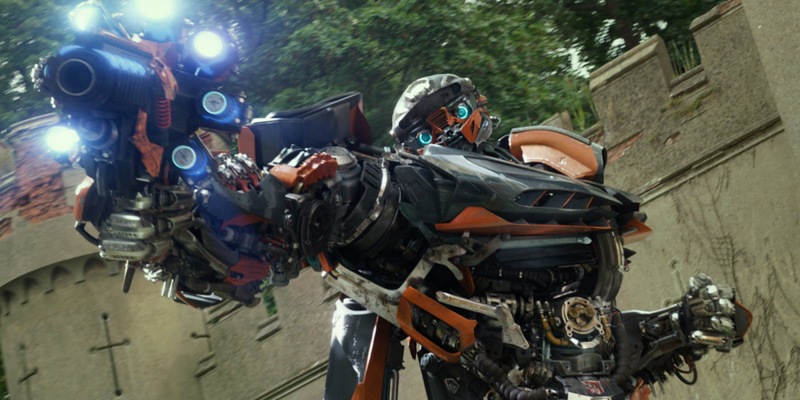 Since we saw the Superbowl 51 TV spot for Transformers The Last Knight, this is the moment filmgoers had been anticipating: Bee Versus Prime, and it did not disappoint. As an emotional and epic battle between two beloved and iconic fictional characters ensues, you cannot help but become a bit emotional. Throw in the fact that the fight takes place on back of Unicron, and what you have is one of the best action scenes in Michael Bay's career, culminating in a moment Transformers fans have waited for since 2007. The film begins to fall apart in the fourth act that should have never been, as we get plucked into the worst tropes of bayhem in a final exhaustive, CG filled action set piece. Considering what we got in the film's fourth act was what I was expecting for the entire 2 hour and 30 minute runtime of the film, I walked away pleasantly surprised. Was the film filled with some Transformers travesties? 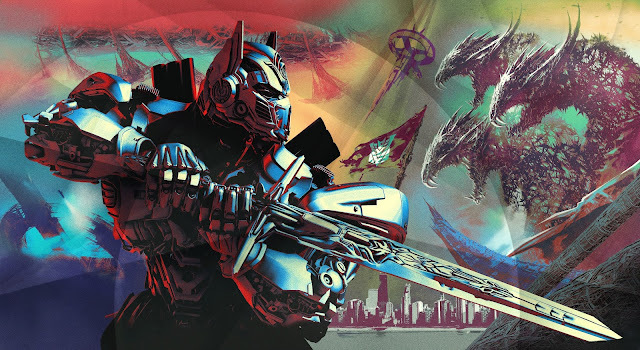 Yes, we see the Dinobots used as junkyard fodder, beloved Autobot Hot Rod dismissed as comic relief, and Merlyn's Transformer Dragon seemingly appear, and reappear for no apparent reason. 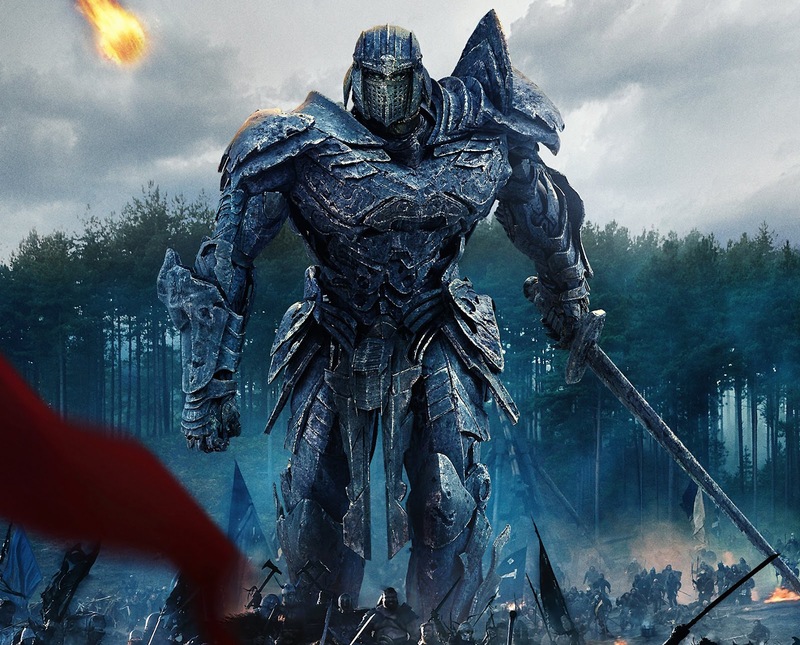 In The Last Knight, unlike Age of Extinction there is enough emotional beats, solid performances, and effective action to counterbalance the worst tendencies of Bay.